Well, Le Tour de France is over for another year - such is my obsession with this race that I even gave Summertyne Americana at Sage Gateshead a miss today (I had more serious reasons for missing the previous 2 days). Le tour is music on wheels. It's, at times, a pastoral symphony, grand opera, rock 'n' roll, a frantic jam session - the greatest sporting event in the world. And, once again, we have a British winner in Chris Froome. 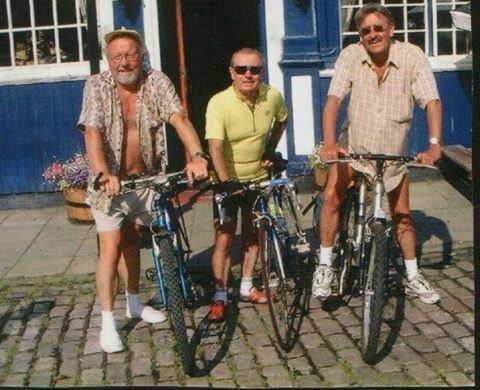 Bravo Chris and may the yellow jersey sit on your shoulders as proudly as it did on mine when I won the sprint to the bar at the Porthole in North Shields a few years back ahead of Derek Fleck (left) and Brian Chester!